Ok readers out there, it's time to get real with you about myself, my challenging students, and what I have done to change student behaviors lately. Let me start by saying, I am patient. I am calm. I can count on one hand the number of times I have actually been angry in the last year. I love working with first graders and have a special place in my heart for students with special needs, learning disabilities, and ADHD. However, the one thing that can get under my skin like nothing else is an intentionally disruptive and defiant child. You know, the one that you ask to sit down who looks you in the eye and does the opposite. Or the one who plays their desk like a drum with a pencil (while yelling "I don't know how to do it") after you've given directions and modeled 3 times? The one who is ALWAYS seeking your attention, but not in a good way. Grr! Last week I have to admit that I nearly lost my mind. Tuesday was a rough day. Like, my body was physically shaking I was so upset and filled with adrenaline. It started like any day with one particular child constantly interrupting, wandering the room, refusing to complete tasks, and being all around disruptive. I had tried a token system, staying firm, staying calm, nothing seemed to be able to manage this child. After he tore up my room for over an hour while we were waiting for his parents to get there, I said to myself "This isn't worth it. I'm not able to teach. He is ONE child. What about the rest?" And was about ready to resign. Once I got home and collected myself, I knew quitting wasn't actually in my heart. I was just overwhelmed. I immediately started researching ways to help attention seeking children. Even though I felt like I was already doing many of the things they suggested, I had to dig deep and keep trying. Here is what I've done based on the research. So far, it has made a drastic improvement. Was it a perfect week? No. 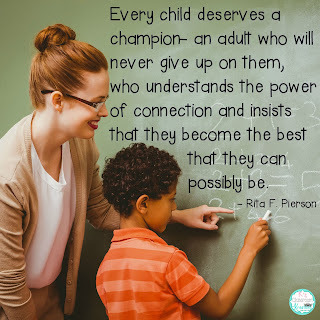 Have the child and I both left school each day feeling much better and seeing positive changes? Yes. So to me, it's a start. When babies are born they quickly learn that when they smile, learn something new, and show signs of love, they often get a positive response and attention from their parents. Sometimes this doesn't happen like when parents aren't around or are focused on something/someone else whether intentionally (neglect) or not (working, raising multiple kids, dealing with their own issues, etc.). This forces the child to resort to drastic measures (crying, hitting a sibling, getting into trouble) just to get noticed. After all, isn't some attention, even negative, better than feeling ignored? This research put my little guy's struggles into perspective for me. Basically, in his mind he is lacking a sense of security and attention/love. He was desperate for attention and boy was I giving it to him. Only I had been giving him negative attention despite my best efforts. It is very important to learn to ignore the behaviors that are negatively seeking attention (calling out, wandering, disruptive, etc.). It is hard, I'm not gonna lie! However, each time you bring attention to the behavior or redirect the child, you are giving them exactly what they want. Your time and focus. This is NOT what we want. We do not want them to keep learning that being disruptive is the way to get you to notice them. Please note, I am not saying ignore something like a physical fight or destroying property, etc. When something like this does happen you do need to address it. However, keep your interactions in a neutral tone (easier said then done, I know) and brief. For example, " We do not hit." Sit the child down, and walk away. Or, "It is not ok to break things." Pick up the item, and walk away. They will try to test you. Dig deep, stay calm and focus on not letting them get a rise out of you. You cannot get into an argument or turn a situation into a long discussion. Don't waste more of your classes time. If you need to walk them to their desk 20 times in a row then do it, do not say anything, avoid eye contact, and walk away. Eventually, the child will stay where you put them and will cool down. You can then address the problem in a calm way, on your own terms/timeline. Meanwhile, you have continued to give your full attention to the class and the teaching. If we are now ignoring the negative attention seeking behaviors, we must replace them. 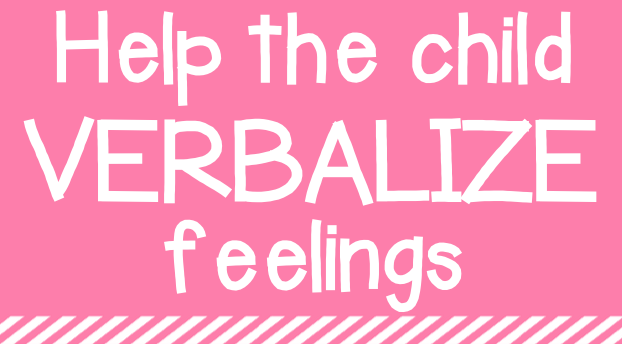 Remember, the whole reason the child is doing this is because somewhere deep down they are feeling ignored or unloved. The research suggests giving random attention throughout the day at a similar rate to their current attention seeking behaviors. For example, if they are trying to get your attention in a negative way once every 5 minutes at first, then you must replace this with some form of positive attention once every 5 minutes. This can be verbal praise, eye contact, a smile, a pat of the shoulder, a thumbs up, time with you, a quick chat with you checking in, etc. This attention is given when you see them on task, making good choices, or on the verge of a meltdown (catch and redirect before things escalate and negative attention is warranted). I spent the last few days really taking time to show this child love. Each morning I am checking in with him as soon as he walks in the door, asking about his night, setting a tone for a great day. Rather than hush the class during lunch so I can try to inhale some form of food, I've let them all just talk to me. I have given the child the chance to walk with me in line, and help me hold things. I have filled his mind with sincere praise and asked him to be a leader. I even sat with him for 5 minutes during indoor recess to color a Ninja Turtle picture. Did I have a thousand other things I needed to be doing? Yes, of course. But, these 5 minutes of quality time meant the world to both of us. I could see him as a little boy just wanting someone to color with him, rather than the child I had started dreading spending the day with earlier in the year. I also fully implemented a token system for him. I wrote more about this system here. Many times, these attention seeking kids are smart kiddos! They know how to work the system, and us! They have had to learn to be this way. As teachers, we need to teach them that they also have the potential to be different. I started Wednesday morning by pulling my little guy aside and talking with him. I explained how sad I had felt the day before and how today I knew he was going to prove to himself, and me, that he could make better choices. I also let him know that if he was ever just feeling like he needed a hug, he could ask for one or just come get one. I told him that today I was going to take time for just me and him, as long as he did his part to help the class get their work done. I then gave him that time, just me and him. I explained that if he needed me, I would always be there for him but he did need to raise his hand like everyone else. I also promised to always come check on him, but that he also needed to give me time to help other kids too. Getting him to trust me will take time. It will also take time for our bond to grow. He needs to learn that I will come back to him, I will love him even if he has an off day, and that I will continue to push him to succeed because I see the potential in him. It may seem unfair to give so much attention to just one or two children, but remember, the goal is to limit their distractions and fill a void in their lives. Teaching the rest of your class will be much more manageable once these children are settled. Every day will not go smoothly. They will test your limits and call your bluffs. 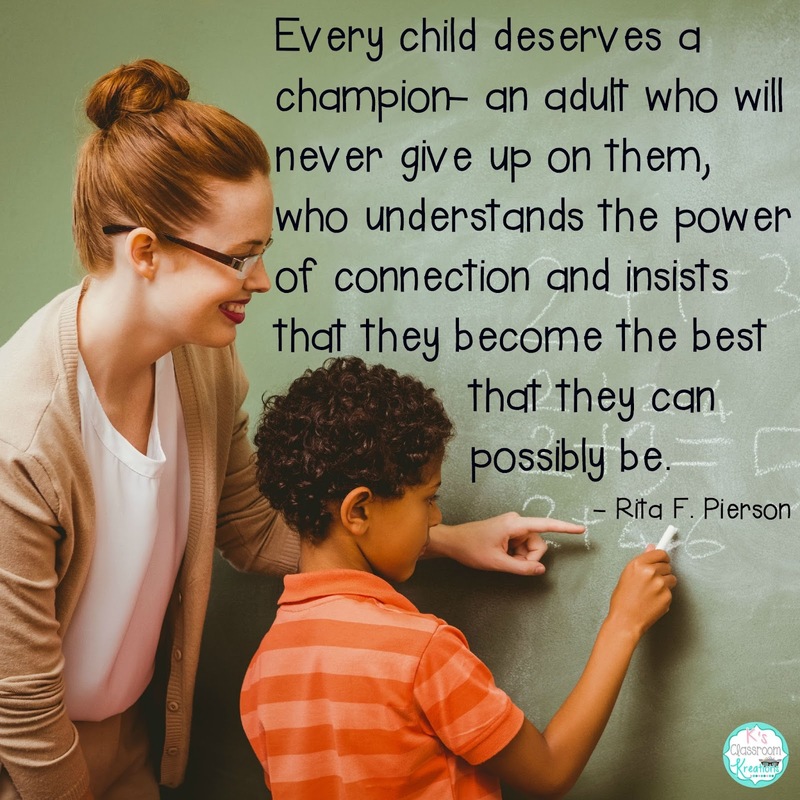 Dig deep and remember that this child needs you just as much as the rest of your students, if not more. Finally, know that one huge hug (practically tackle) on a Friday afternoon WILL change your life and bring you to tears. Your bond is beginning to grow, this child's trust of you is forming, and for possibly the first time, they have found a source of love, in YOU. 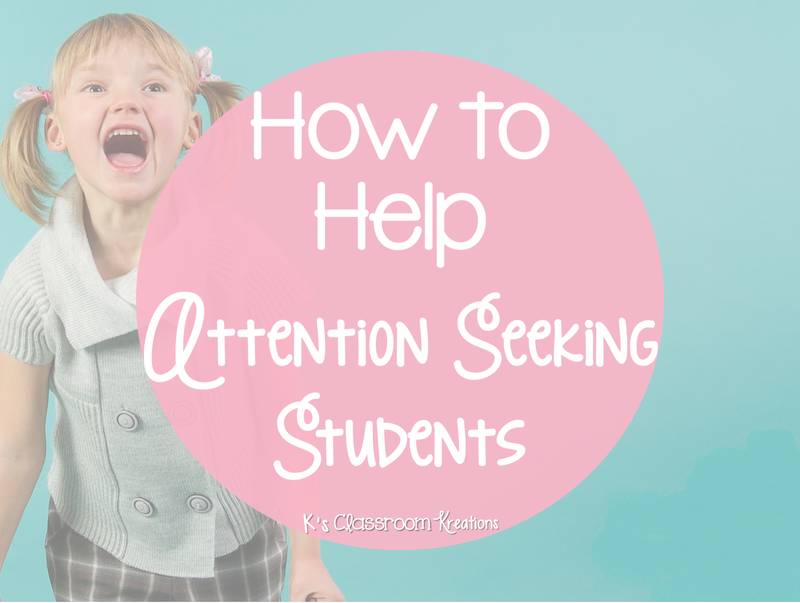 What strategies have you found to work best with your attention seeking students? This is a beautiful post. I really needed to read this because I have several attention-seekers this year. I've found myself reaching deep for patience several times this year already. I'm so glad that what you are doing is helping. Thanks for sharing! Thank you! They really do just want love and it seems to be making a world of a difference.